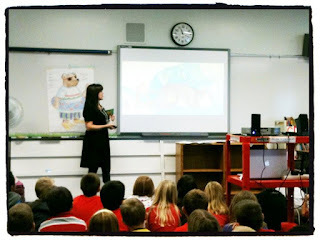 School Visits - I can come to your school! 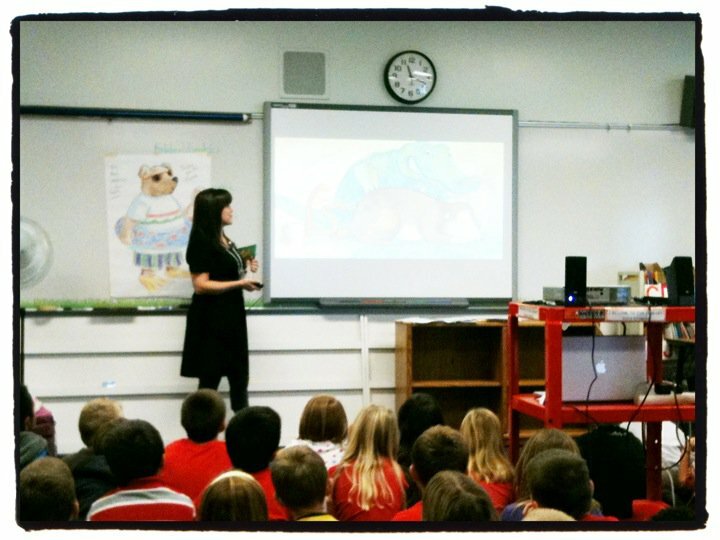 I've done a lot of school visits over the years, all over Utah, and a couple in Washington and Michigan. I always have such a great time with the kids. They are the most wonderful, adoring fans an illustrator or author could ask for. They all have their own books in their heads screaming to come out as they bounce up and down with their hands raised to tell you a "story." They could go on for hours about how they lost a tooth or how their mom went to the grocery store in her slippers. I love it! I do have to limit the "stories" during a school visit though...or we'd be there all day. I love to involve the kids in my presentations in other ways, like having them help me create a character or giving me alternate endings to stories, and coming up with sequels to my books. I try to be engaging and enthusiastic and even a little funny in my presentations (which I admittedly am no comedian). Fortunately, I've always been able to entertain and educate a gym full of kids. I even presented to preschoolers through 6th grade at once. They all behaved well and were attentive, but I don't recommend trying to cram that many grades into one presentation. With the older kids, I like to talk more about process of creation...the art, the writing, the publication. They can handle the more detailed info like that. I even do writing and illustrating workshops for grades 5-8 and anyone interested in learning about creating picture books as a profession. All I can say is, I definitely have the best job in the world! Here's a picture from a school visit I did in Southern Utah a while back and a link to the post about it. Then click on this link to the video clips to see me in action. So I've always wanted to take a master class on watercolor painting. I learned some techniques back in college and have just kept experimenting and developing since. But I don't feel I was ever taught well. But I don't feel I was ever taught well. I also really want to learn to paint landscapes better for this book idea I have. I finally made the time to take a 3-day course from a travelling professional, Carl Purcell. He's teaching a class at an art center close by next week. I'm excited. workshop, Paint with deliberation, and with a new freedom that will result in fresh, spirited paintings that seem to capture the vibrancy of nature. 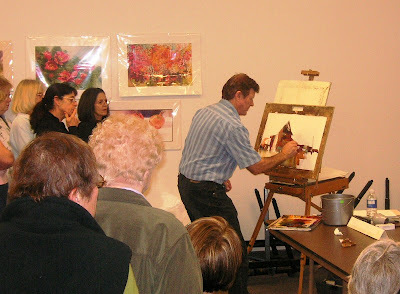 Even though this workshop is a watercolor workshop, the concept applies to any medium. I admit, I'm also a little nervous. It's weird. I've been painting for years, but to go and actually paint in front of a "master" watercolorist, is nerve racking. I plan on just going in and approaching the class like I know nothing, follow all his instructions to the T, and hopefully emerge a better painter. Here's to always learning and growing! Children really don't need a Wii, a playstation, or even a playground. They simply need their mind...and maybe a cardboard box. I am constantly inspired by the creativity of children and strive to find that inner child when I am creating books. It's hard. Society has taught us all to conform and suppress ideas and actions that are against the norm. I've often thought about my own childhood and the very creative ways we entertained ourselves simply because my mom severely limited TV viewing. She could've allowed more TV time and probably would've had a lot more peace around the house with her 6 boys and 3 girls. But had she done that, we would've never invented the games "Mr. Google Goggle" or "Screwshle Squirrelhead." Had she done that we would never have made our own "library", "restaurant," or had millions of adventures in the woods behind our house. I'm thankful to my mom who made necessity the mother of our inventions and creativity. May we all find our inner child and CREATE! 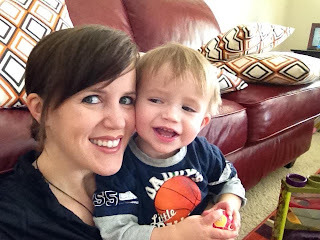 With all the hub-bub recently with the comment about Ann Romney (stay at home mom) never having worked a day in her life, I reflected a bit on my own "Job(s)." We all play many roles in our lives...we are multiple things at once: children, siblings, parents, caregivers, volunteers at schools and community, housecleaners, cooks, etc. We also may have "employment"...work we do for monetary compensation. I think the comment was mispoken in saying Ann Romney never worked a day in her life because she essentially isn't monetarily compensated for all the hours of work she does in her home. We all say things we don't mean, but I do think not enough credit is given to those women or men who devote countless hours as homemakers and mothers/fathers. It's the toughest job I know...24/7, no vacations. As a "stay-at-home" mom with 4 kids, I feel SOOOOOO blessed to be able to have employment I can do from my home while performing my motherly duties. I can even include my kids in my job as an illustrator when it takes me away from home...like school visits and book signings (one of my kids snapped this picture for me at a fundraiser for their school). I am one lucky lady. Not many employment opportunities offer what being an illustrator does...working from home, working from anywhere in the world, working in your pajamas with a kid on your lap. I love being an illustrator. I love art. And I love that I can stay home with my kids while having gainful employment from my home. That is my payment...not monetary but worth SOOOOO much more. Money can never give me the same feeling I get from a kiss, cuddle, or even a "Thank You" from one of my kids. As those Mastercard commercials say..."Priceless." And when I can pass on all I know and learn to these future contributors to society, I feel even more like I'm doing something important. 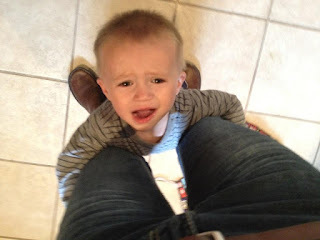 So all you stay-at-home workers out there (moms or dads), remember that what you are doing is VERY important. Love those kids and raise them well. Our world will be a better place for it. 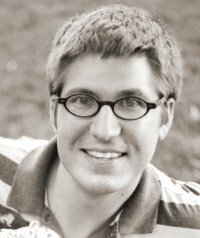 Today I want you to meet my friend, author/illustrator, Jed Henry. Jed's illustrations have enhanced a couple of books, like PICK A PUP and Huckabee's CAN'T WAIT TIL CHRISTMAS, over the past 2 years. But now his work has exploded with 2 books coming out this year alone, 2 of which he wrote as well as illustrated. 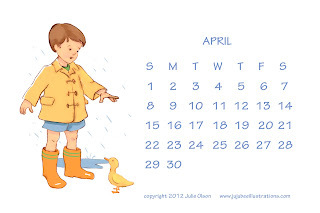 Released just this month is Jed's I SPEAK DINOSAUR, a creative book about a boy who "becomes" a dinosaur and learns about friendship and behavior. My 2 year old loves the "dinosaur speak" and gribber grabbers along with it. I can't wait for his book CHEER UP MOUSE to come out early next year. 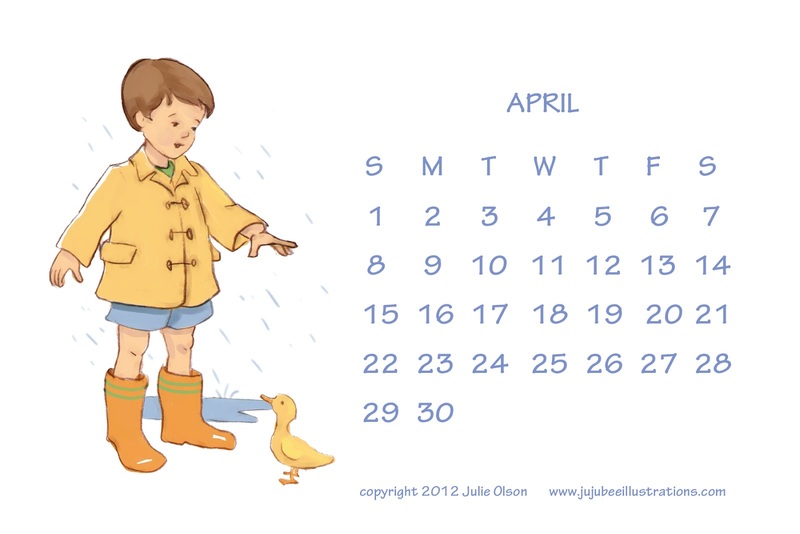 (if you click on those links you'll see the most amazing picture book trailers ever that Jed created himself) Jed's list of books can be seen and purchased on his Amazon Author page HERE. Jed and I met at a writing and illustrating conference a few years ago and quickly found out we grew up in the same neck of the woods (almost literally- Indiana has a lot of woods). But I also soon saw what an amazing artist Jed Henry was (and is). This young guy was already years beyond so many illustrators, such as myself, in the industry. I added my opinion to that of the illustrator friends he had already met and urged him not to wait...to get started right away. It didn't take long for the rest of the industry to realize what talent he had as well. Maybe the following interview will shed a little more light on Jed's "rise to the top." You were an animation major in college, right? What made you decide to focus on children's books instead? Yeah, I majored in animation, and fully intended to work in an LA studio. My senior year, I was winning national awards, and landed an enviable internship in LA. But for some reason, things didn't work out as planned. I couldn't find work at any of the animation studios, and recruiters seemed distant. My dream of working in the animation industry was off to a disappointing start. Around that time, I began to investigate the publishing community here in Utah. There is a bizarre concentration of career writers and illustrators living out here. Rick Walton is one such veteran, and he kindly allowed me to audit his class three semesters in a row. Will Terry and Guy Francis are two local illustrators who also took me under their wing. Lastly, Carol Lynch Williams helped kick-start my career by introducing me to editors who visited from New York. Without the guidance of these people, I never would have found my way. I can't thank them enough. 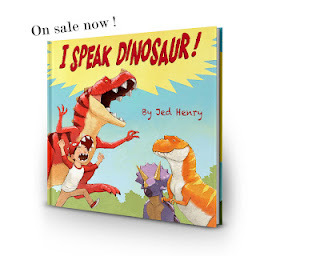 Your latest book, the first you wrote AND illustrated, "I Speak Dinosaur" was just released. It is creative, fun and relatable. Great job! How did you "break in" to the children's book scene? With the help of the above mentioned people, I took writing and illustration classes, and attended SCBWI and other conferences. I wrote and drew stories furiously – probably ten dummy books in just a year or two. Then a friend of mine saw my work, and introduced me to his agent. I signed on, and the rest is history. Oh geez! The first picture book I wrote was in rhyme. It's not a universal no-no, but rhyme is definitely harder to pull off than simple, clever prose. I've never attempted it since. Oh, that's a lie. I tried it again one other time, and failed. Then I quit for good. What is the best part and the hardest part about being an illustrator? Being an illustrator is most fun when the story has energy, and the visuals require ingenuity. It's boring when a story falls flat, or doesn't inspire them enough. Any Words of Wisdom to the world? 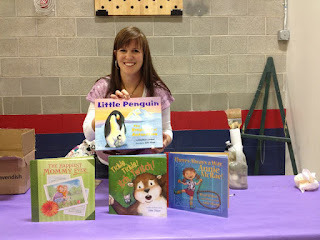 My local library hosts an amazing Children's Book Festival every year. It's a free event where people of all ages come for free books, for fun activities, to listen to amazing authors and illustrators, and to simply enjoy books. Put it on your calendars now. Saturday May 12th at the Provo City Library. In addition, I'll be on an illustrator panel on Thursday night, May 10th at 7pm at the library along with 4 other fabulous illustrators. Don't miss out! And remember, please do not sell or use this card for anything but personal or classroom use. Do not use on the web as part of a webpage or design. Thanks!